My wife and I often spend time on our laptops in the living room while we watch a show on our Apple TV. Whenever I get a laptop I always forget to disable the IR Sensor on my MacBook Pro, which I never use, to prevent the Apple TV remote from controlling my laptop. 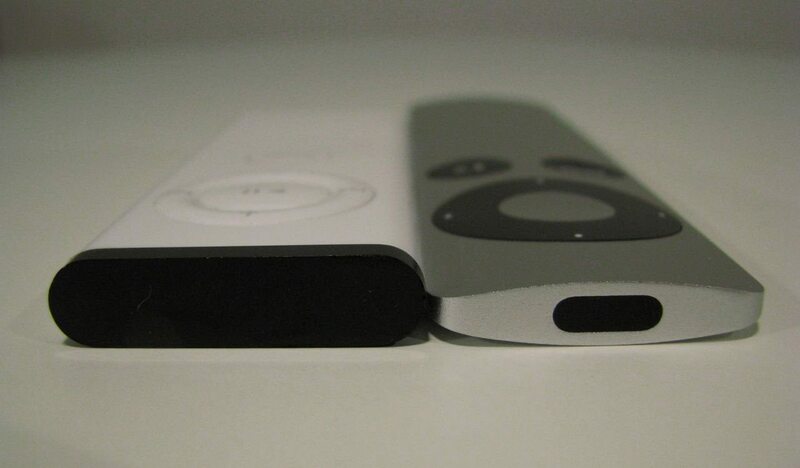 Since the MacBook and MacBook Pro no longer come with a remote, they do not come paired to a remote, so they will respond to other Apple Remotes in their vicinity. Since I got my first Apple TV I have not had a need to control my laptop with an Apple Remote. I often forget that it even has that capability. I am quickly reminded when all of the sudden my music starts blasting out of my laptop. So I always find myself needing to turn off this feature. Since I do this each time I buy a computer and had to figure it out by searching menus the first time I tried it, I thought I would share how to disable the IR Apple Remote sensor on your Apple Laptop. 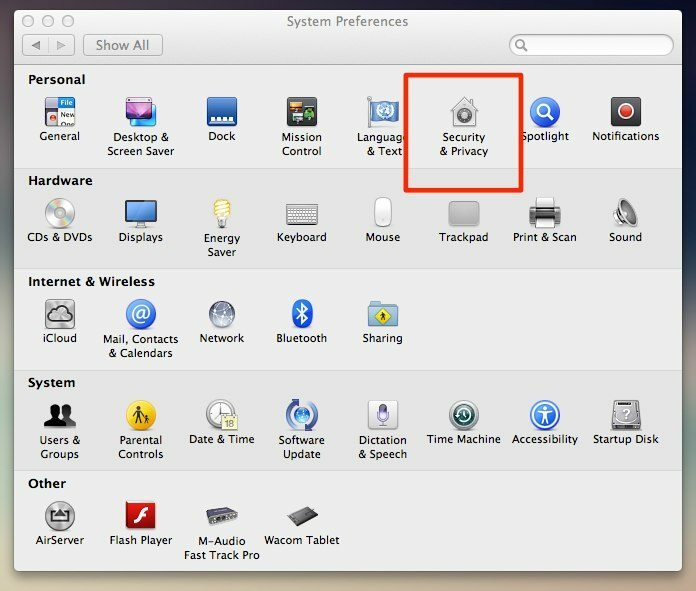 -> Open up System Preferences -> and select Security and Privacy. To make changes in this window you might need to click the padlock in the bottom left corner and enter your admin password to enable changes to be made. 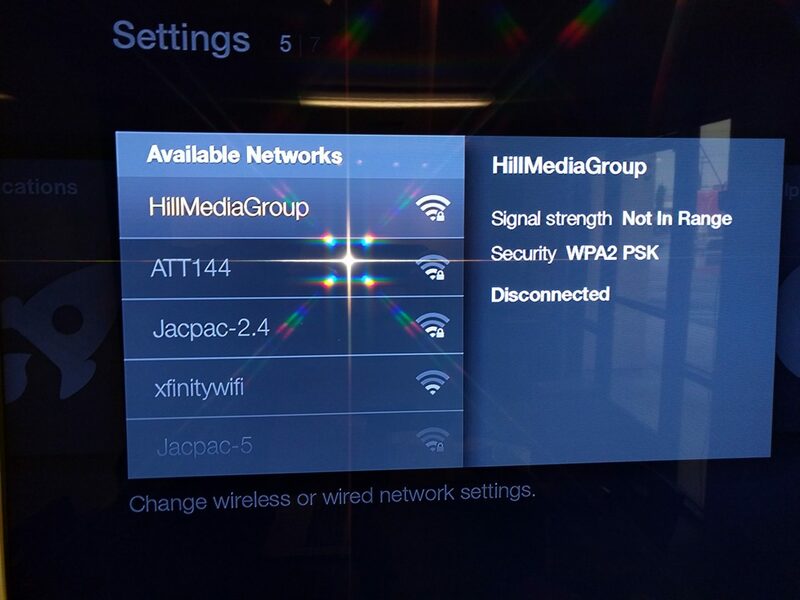 Once you have enabled changes to be made, select Advanced, then check the box next to “Disable remote control infrared receiver” and you won’t have to worry about your music coming on again. 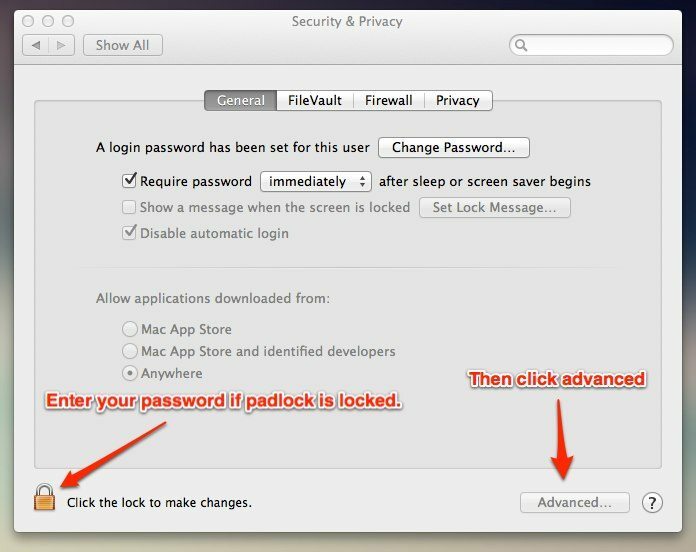 This tutorial and screenshots below are for OS X 10.8 – Mountain Lion. In earlier versions of OS X it was the same process minus the “advanced” button.